Though North Korea holds the attention of the world, it is still rare for us to hear North Korean voices, beyond those few who have escaped. 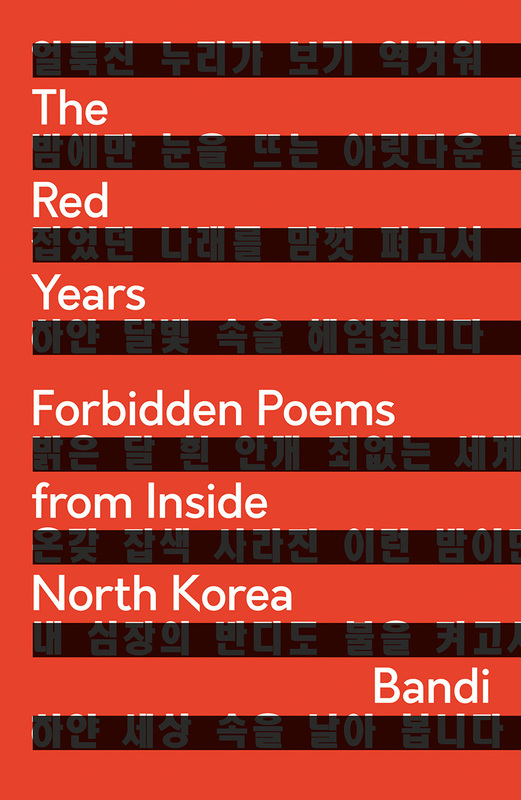 Known only by his pen name, the poet and author Bandi stands as one of the most distinctive and original dissident writers to emerge from the country, and his work is all the more striking for the fact that he continues to reside in North Korea, writing in secret, with his work smuggled out of the country by supporters and relatives. The Red Years represents the first collection of Bandi’s poetry to be made available in English. As he did in his first work The Accusation, Bandi here gives us a rare glimpse into everyday life and survival in North Korea. Singularly poignant and evocative, The Red Years stands as a testament to the power of the human spirit to endure and resist even the most repressive of regimes.